PPC (pay per click) marketing is a high speed strategy for getting your advertisements in front of your targeted market quickly, however with the risks involved with Google pulling the rug out from under countless marketers by pausing their ads or worse, BANNING their accounts without notice, its become evident that anyone serious about maximizing exposure for their advertisements while retaining FULL control over your promotions needs to look for an alternative provider. Enter Facebook. Facebook is currently used by millions of users who log into their accounts every day to communicate with friends and family, to network with businesses and to post updates on their personal and business lives. Its one of the fastest growing sites online, with over 400 million user-created accounts and receives a greater number of page views every month then even Google! 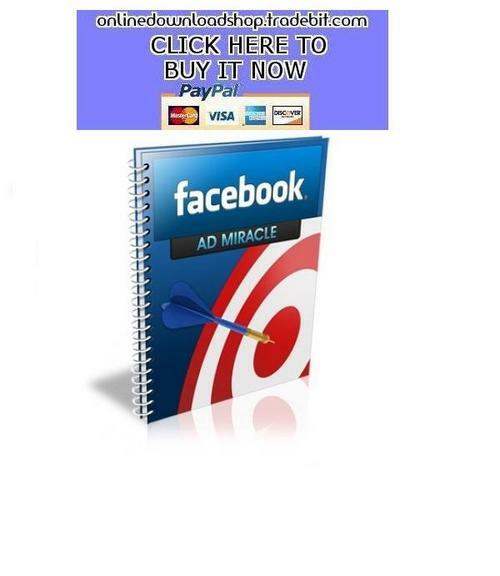 * High Quality Report, 9 page report, Facebook - Ad Miracle!